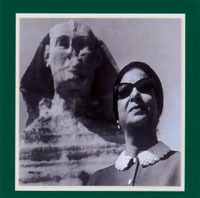 This page contains a translation into English of the lyrics to the classic Egyptian song "Ghanili Shwaya, Shwaya", which was sung by Oum Kalthoum. Also included is a transliteration of the Arabic lyrics into the Roman alphabet so you can sing along if you like. Other spellings for this song title include "Ganili Schwaye Schwaye", "Ghanely Shewaye", "Ghanny Li Shewaya", "Ghannili Sheway Sheway", "Gannili Showaya Showaya," and "Ganili Shwia Shwia." 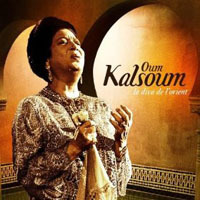 Oum Kalthoum was born in 1904 and died in 1975. 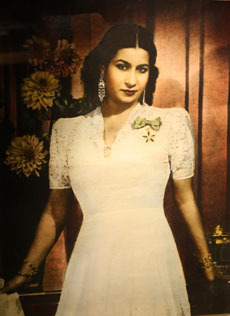 She was unquestionably the most gifted singer and musician of the 20th century in the Middle East. She was continuously popular for over 50 years and her songs are still played nightly on any number of Arabic-language radio stations, particularly within Egypt. Her name is transliterated many different ways in the Roman alphabet, including Um Kulthum, Om Kalsoum, Umm Kulthoum, Om Kalthoum, Umm Kalsum, Oum Kalthum, Oum Kolthoum, Oum Kaltsoum, Umm Kulthum, and others. Note from Lennie Clark: This is an old song recorded by Oum Kolthoum. According to percussionist Ghaleb "Gaby" Tawil, it was her first song hit. * An idiomatic expression meaning someone is leaving. In other words, the Bedouin would fold their blankets in preparation for departing. ** Refers to the Kaaba in Mecca. This song was translated by Ghalep "Gaby" Tawil. Gaby started his career on television and radio in Jordan. He was in so much demand that he stayed in broadcasting for a total of eleven years. He traveled to many Middle Eastern countries, including Egypt, Syria, and Lebanon, where he performed to some of the best venues with top entertainers, such as Sabah and Nadia Gamal. 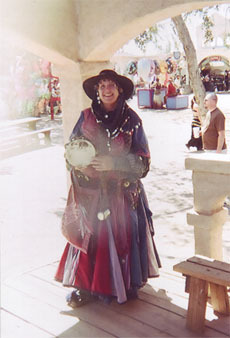 Gaby played with famous Middle Eastern musicians and singers at private parties for royalty, the rich, and the famous. He resided in New York and circuited the city's hottest nightclubs, including the El Darwich, Cedars of Lebanon, Sinbad's, and Aladdin. He assisted many Middle Eastern dance instructors such as Bobby Farrah and Yousry Sharif in teaching their students to understand the complex Middle Eastern rhythms. He has recorded in numerous studios with famous Middle Eastern artists such as Sabah, Bobby Farrah, and Nadia Gamal and many more. Gaby also had the honor of performing at the Cedars of Lebanon nightclub with Led Zeppelin's Robert Plant. 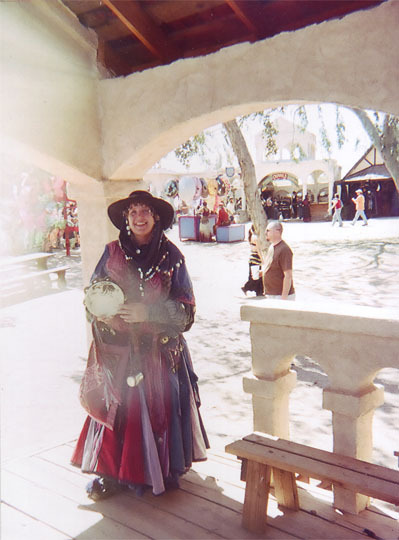 He moved to Arizona in 1996 where he has been teaching workshops, groups, and private classes in Phoenix and Tucson. 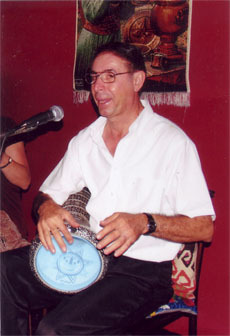 He continues to accompany belly dance instructors in their studios to teach the students Middle Eastern rhythms. Gaby played at a private party in Amman, Jordan with the very famous singer Abdel Halim Hafez. In Haleb, Syria he worked with famous singers Sabah Fakari, Mohammed Hairi, and Suad Mohammed and famous dancer Fifi Abdo.